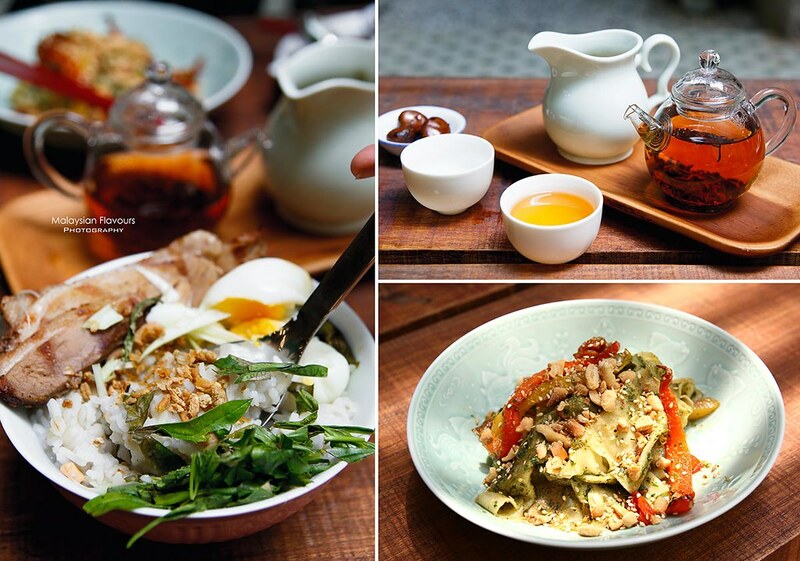 You are here: Home / Food Venture / Top Hipster Cafes in Petaling Street KL: For Brunch & Coffee! 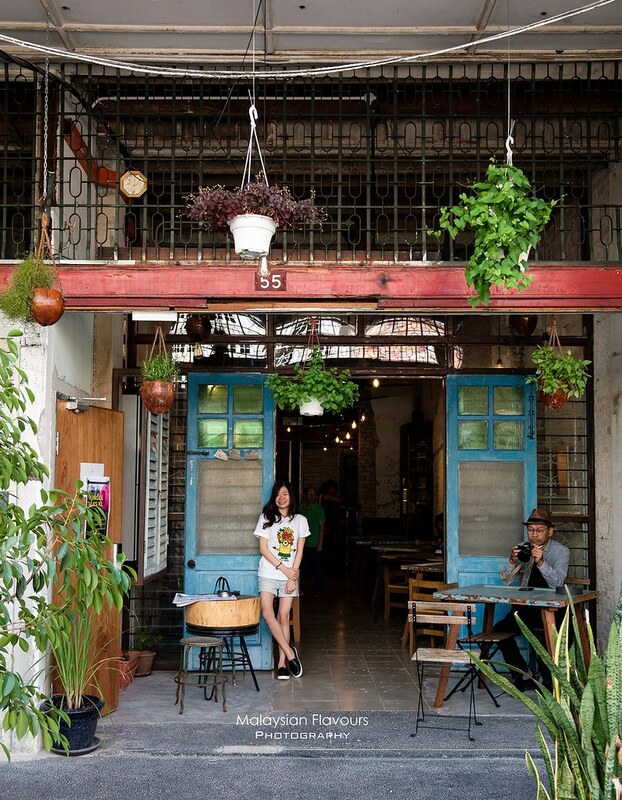 Hipster cafes in Petaling Street / Chinatown KL area for your brunch & coffee, how may have you visited? 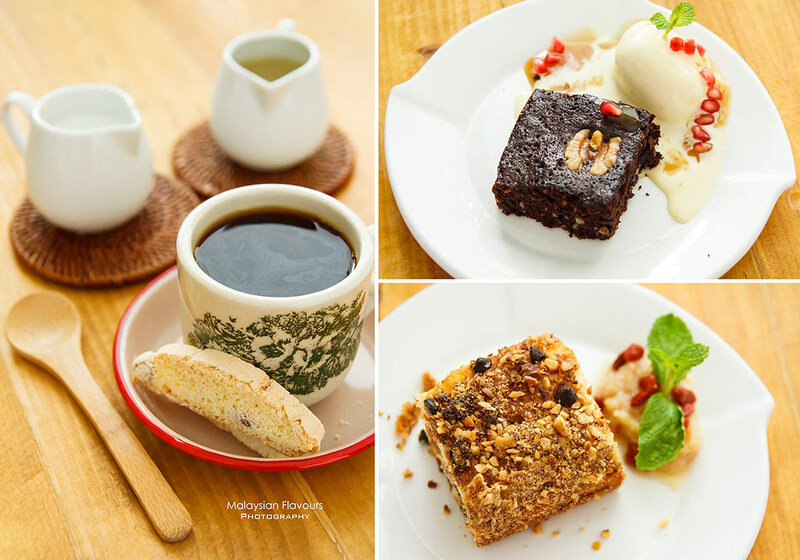 Get your cafe hopping session in Petaling Street started by following the list below! Will update this blog post from time to time ya! Just when we thought that we no longer have reason to visit Petaling Street Kuala Lumpur that often, things changed. Chic coffee places begin to open around the area, one after another. We are yet to cover all but for the time being, scroll for your favourite and check them out! 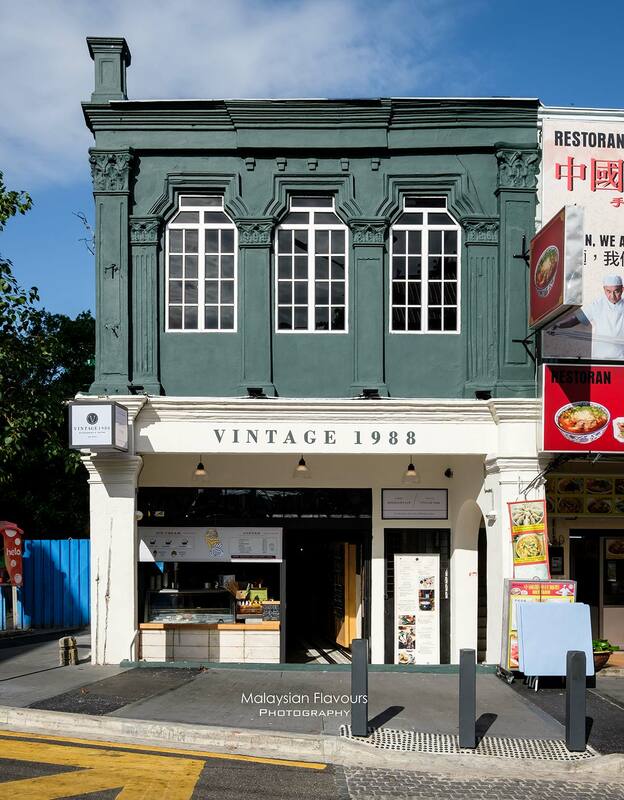 From fashion accessories to coffee, Vintage 1988 is a proud Malaysian brands that now excel in both the vintage fashion and concept cafe industry. Vintage 1988 begins as a label specializes in as a wide range of vintage charm collection. They are always ready to offer accessories customization service, for bracelet, necklace, earrings and more. You can find their accessories physical stores in Sunway Pyramid, Pavilion KL, 1 Utama Shopping Centre, and now at Jalan Sultan near Petaling Street /Chinatown KL – which is also a cafe. 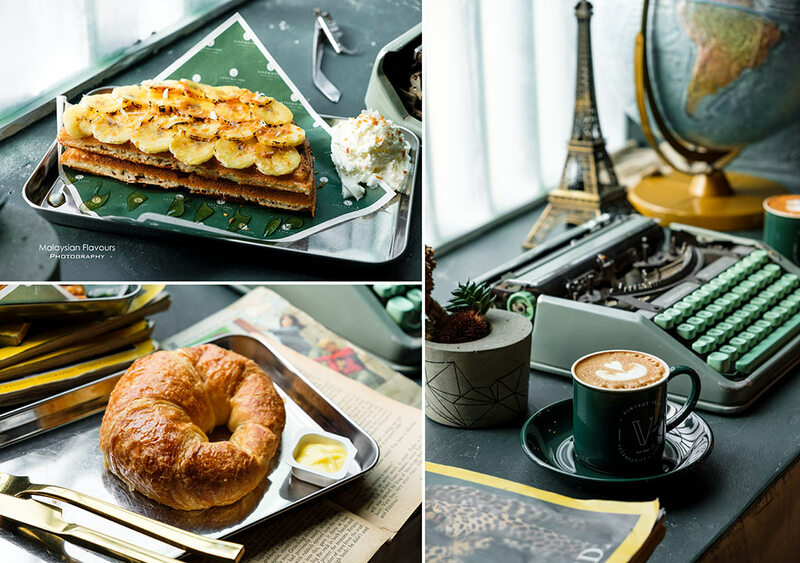 Come here for ice cream, coffee, waffle, panini, pastry and pasta, stay for the really Insta-worthy environment. 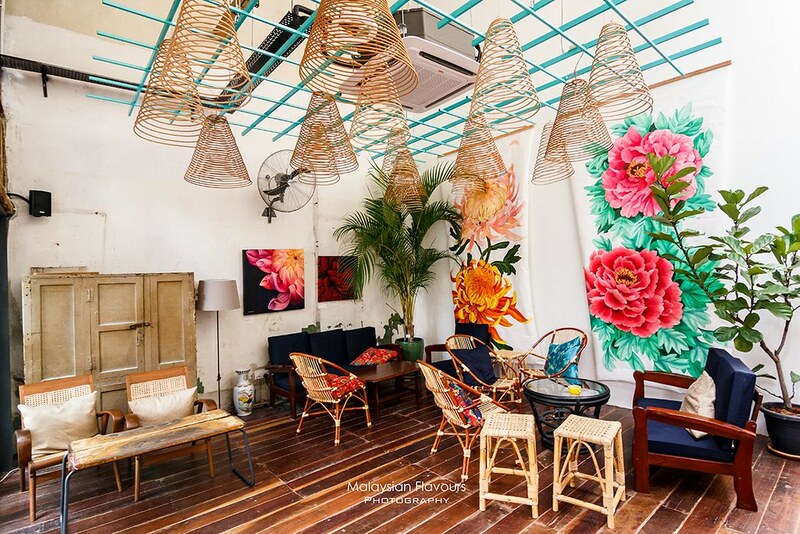 34, Jalan Sultan, City Centre, 50000 Kuala Lumpur, Malaysia. Lim Kee Cafe at Tang Jing Hotel! Just the shop front is enough to lure us stop by for a drink. What’s better is, their latte or cappuccino or flat white is probably the cheapest along the road, with great quality and beautiful latte art too! Their latte was like only RM7 the last time we paid Lim Kee Cafe a visit, not sure about now but certainly still on affordable price. Leaf & Co. Mingle doesn’t receive a huge attention at their early opening stage but as time goes by, their good food and noteworthy interior has earned them significant appearance on social media, as well as by word of mouth. 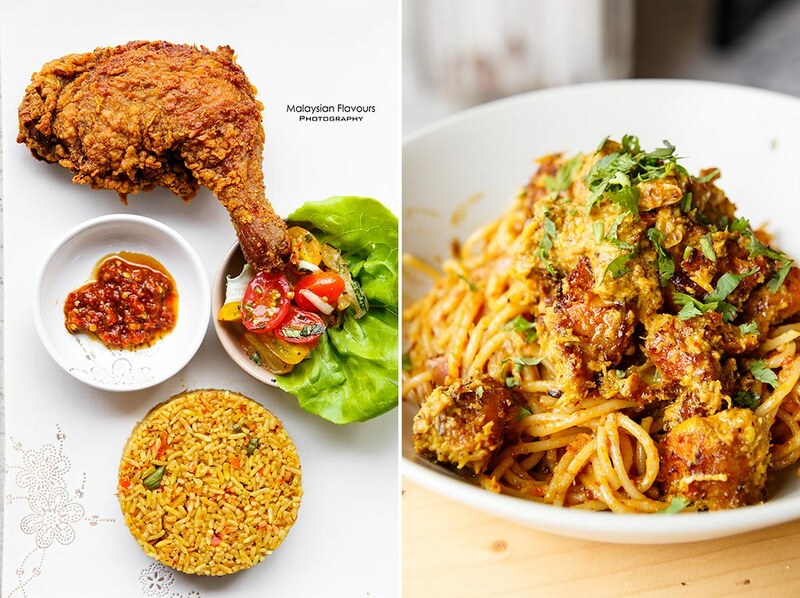 Buttermilk Fried Chicken, Blue Velvet Cake, Spicy Chicken Aglio Olio, Grilled Satay, Lemongrass Chicken Rice are some of the dishes worth discover. 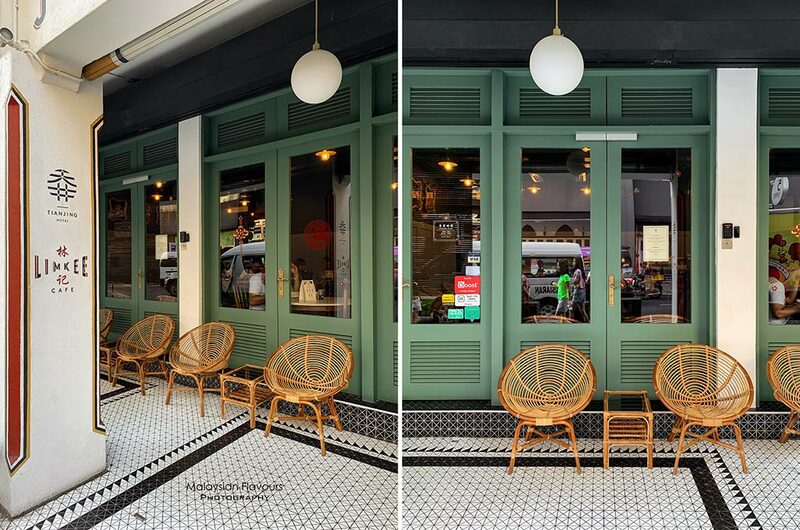 And again, same as many of the cafes nearby, Leaf & Co. Café interior with old-school kopitiam look deserve some space in your photo gallery . 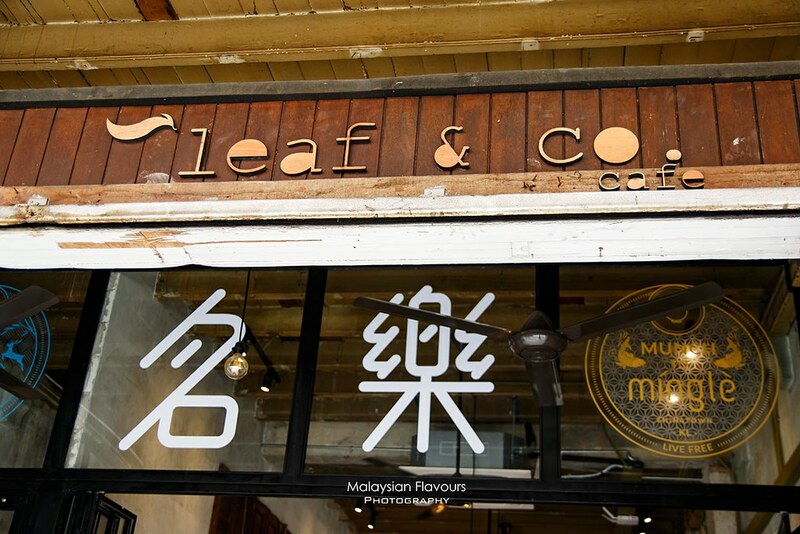 Mingle Cafe Jalan Sultan, a cafe opened next to Leaf & Co., believe to be under the same management team. Nice interior too, with a menu of local, Asian and Western delicacies. 55, Jalan Sultan, City Centre, 50000 Kuala Lumpur. Merchant’s Lane KL, the pioneer among the rest. Still doing well till today, thanks to their amazing food and coffee with consistency, not to forget the lovely ambience. Try the pan-grilled salmon served over a bed of homemade hash and salsa, with two poached egg – you won’t be disappoint. Oh yeah, it is named as South China Sea on Merhchant’s Lane menu. Check out their evergreen Honey Rose Milk too, served in Chinese porcelain tea cup. Kual Lumpur City Centre, 50000 Kuala Lumpur. 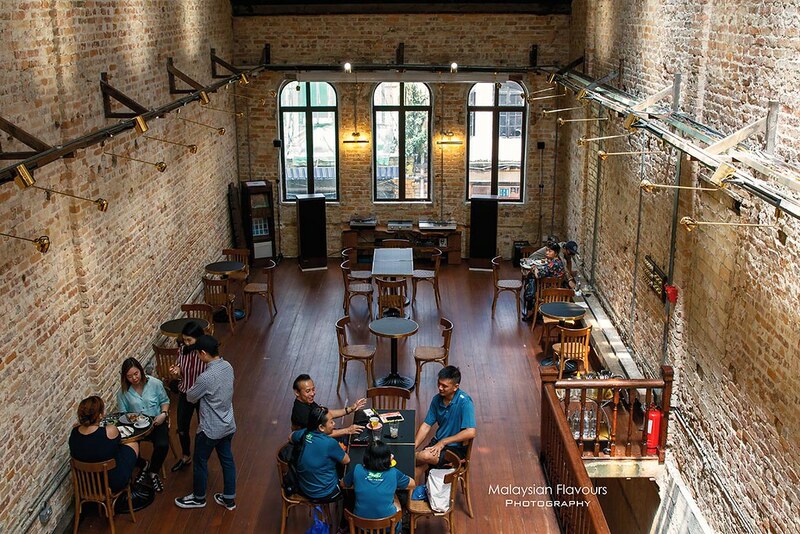 Opened closely after Merchant’s Lane, Chocha Foodstore has quick becoming one of the must visit cafes around Petaling Street area. Their duck rice, which top pan-seared duck confit breast, poached egg, and house pickle on barley rice brought us here. 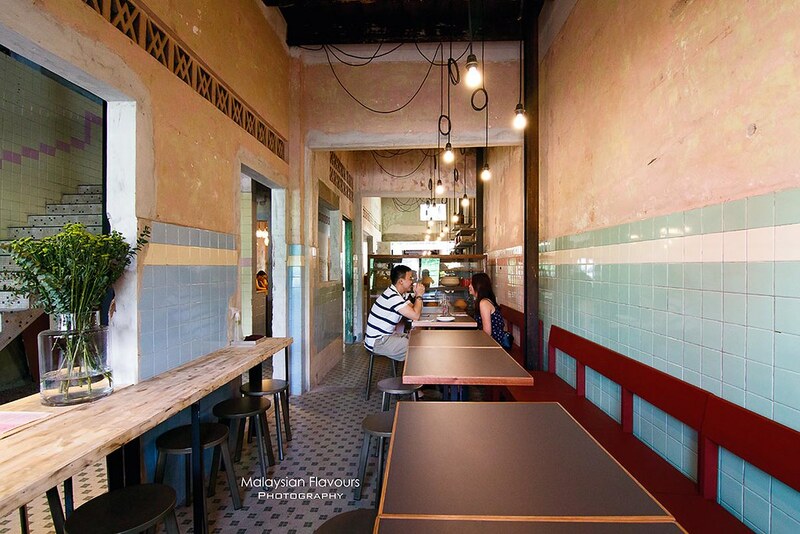 Other options on Chocha Foodstore menu includes Biang Biang inspired Noodles, Duck Stew, Mussels Pot with Shao Xing Wine, Duck Rendang, Ulam Raja Crème Brulee, Roasted Stick Duck, mostly modern Asian cuisine with creative fusion touch. Nice food aside, the interior that carries the charm of a century’s old heritage building is equally impressive. Kuala Lumpur City Centre, 50000 Kuala Lumpur. Jao Tim, a café that makes us feel like as if we were transported to European 60s’. Spacious, high ceilings, very vintage feel with plenty of wooden elements, brass finish. In sum, very photography- worthy. Fits well as an event space too. 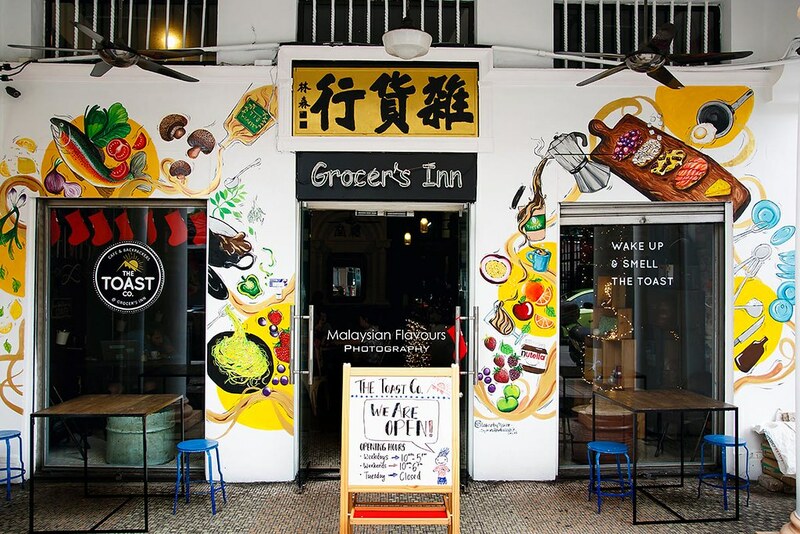 No full-fledge menu in Jao Tim, with beverage covering the major selection but still, our TOP 3 to go café in Petaling Street. Ideal for tea-time, or for breakfast coffee with their signature crusty sandwich with flavourful, cheesy stuffing. 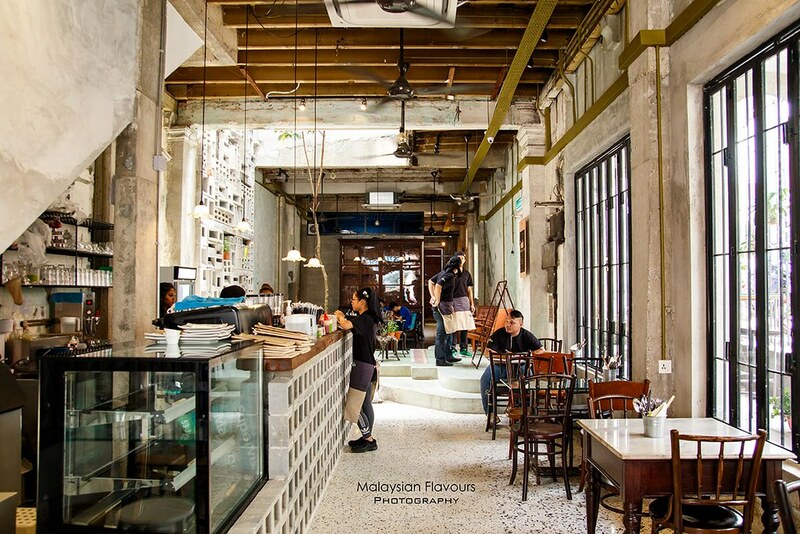 A KL café worth visited for the interior. 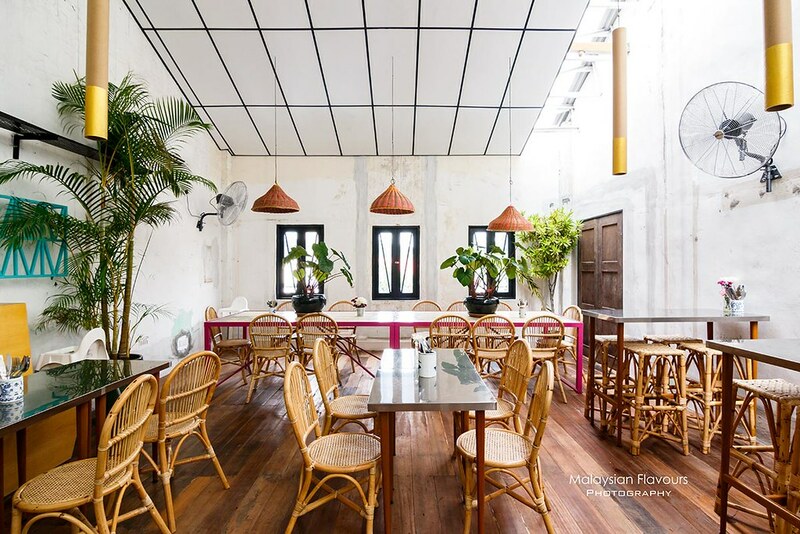 61, Jalan Sultan, City Centre, 50000 Kuala Lumpur,. 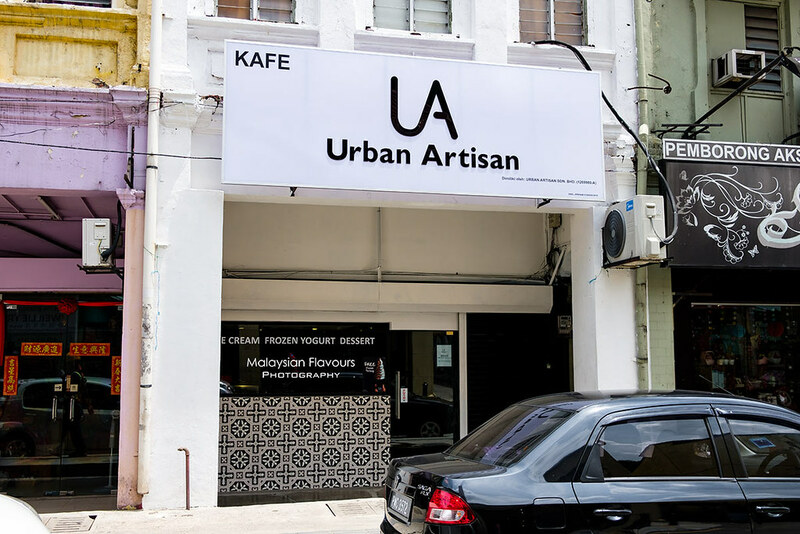 From Penang to Kuala Lumpur, Urban Artisan Ice Cream has created a name for their dreamy, pastel colours soft serve in a wide variety of flavours. From Signature Cheesecake and Oceanic Sea Salt to Flaming Red Velvet, Purple Dream Grape, Natural Frozen Yogurt, Green Tea, Lychee, French Valrhona Cocoa, British Earl Grey, etc.. Flavours change weekly, so drop by for unexpected, exciting flavours, like – Golden Salted Egg Yolk. 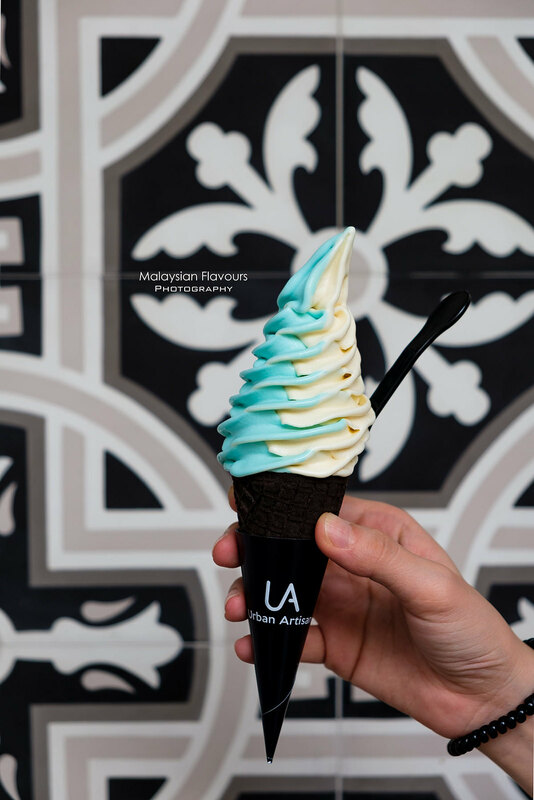 Do give Urban Artisan KL a try, as their soft serve is beyond just being Insta-worthy and colourful. RM11.90 per flavor. Oh ya, ask for in scone, nice crispy biscuit cone they have. Free tasting available. We try all before getting our favourite. LOL. 149, Jalan Petaling Street, City Centre, 50000 Kuala Lumpur. 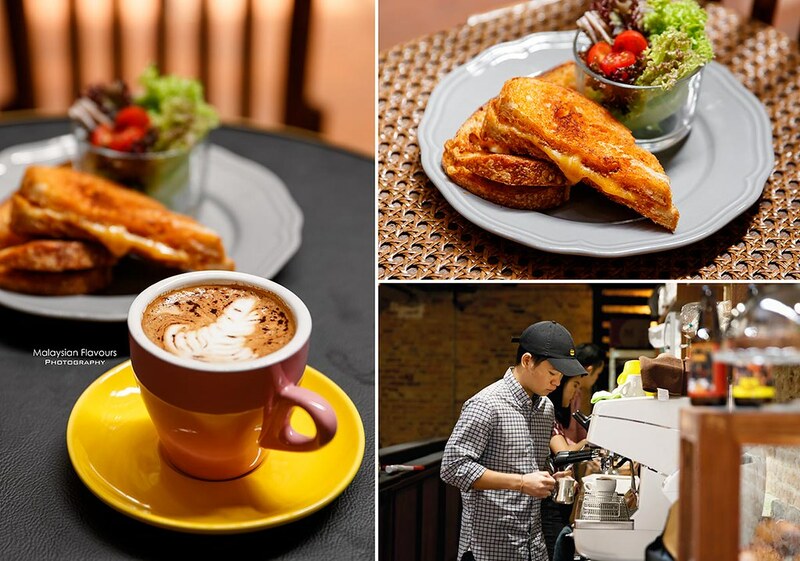 Formerly the location for The Toast Co., Oldies Cafe Bar KL transports you to the good old days with their oldies theme, at the same time offering delicious Western delight from steak to mixed grills. Grab a cuppa here, or chill & relax with Oldies Cafe Bar specially crafted cocktails. A café prides for their eggettes (Gei Dan Zai). 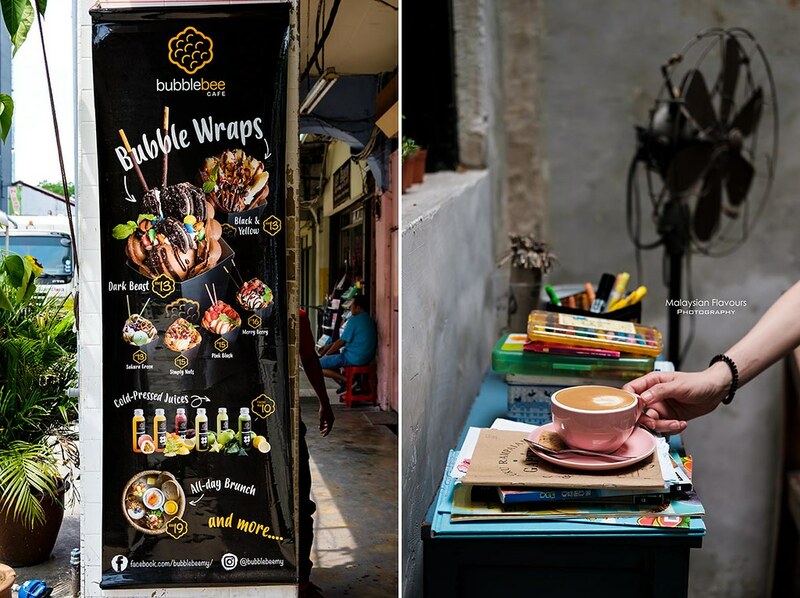 Their egg waffle, known as Bubble Wrap Waffle on the menu, is available in different fun toppings – Strawberries, blueberries, chocolate sauce, vanilla gelato;? Strawberries, strawberry sauce, vanilla gelato; Walnuts, pecans, dried cranberries, caramel sauce, vanilla gelato; red beans, green tea, matcha pocky; M&M, Oreo, Pocky, chocolate sauce, chocolate gelato; Banana, choco chips, Pretzel biscuit, chocolate sauce, chocolate gelato. Price within RM13 – RM15. 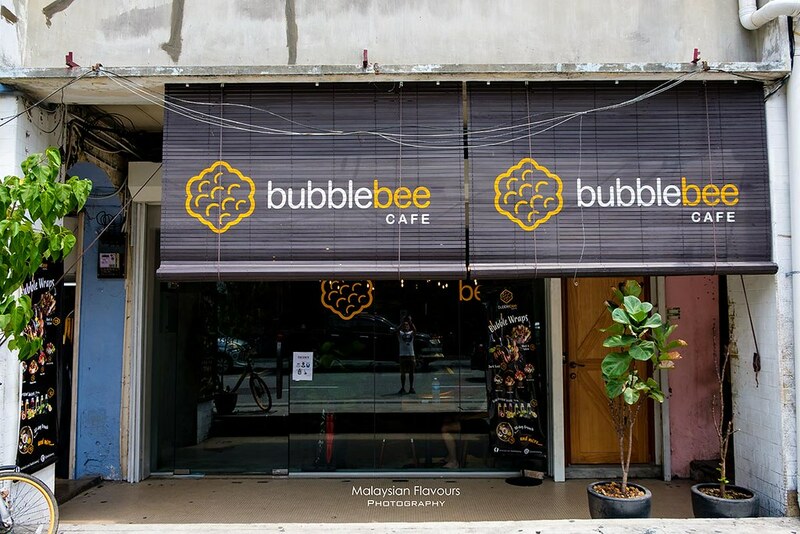 Address: 139, Jalan Petaling, City Centre, 50000 Kuala Lumpur. 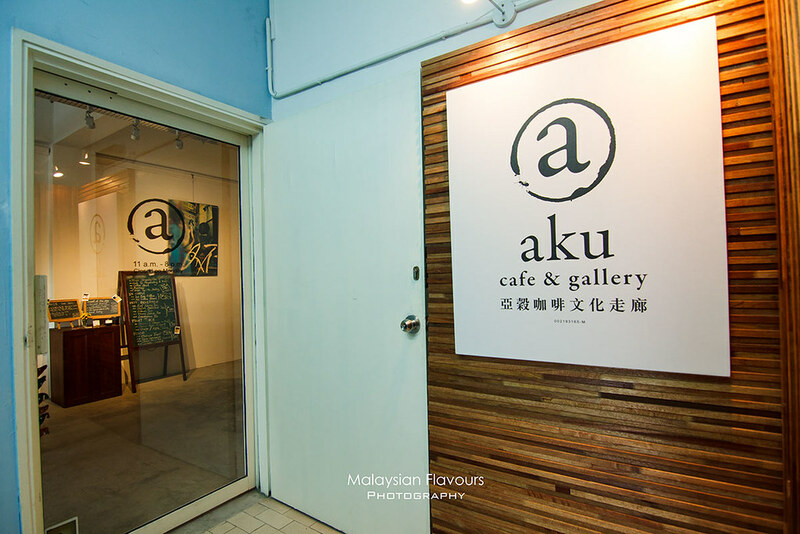 Slow down, enjoy moments of life – This is how we feel from visiting Aku Café & Gallery, probably this is also the reason that easily distinguishes this coffee place from many cafes in Petaling Street. Very cozy, comfortable space that we don’t mind sitting for whole day. 8, Jalan Panggong, City Centre, 50000 Kuala Lumpur. 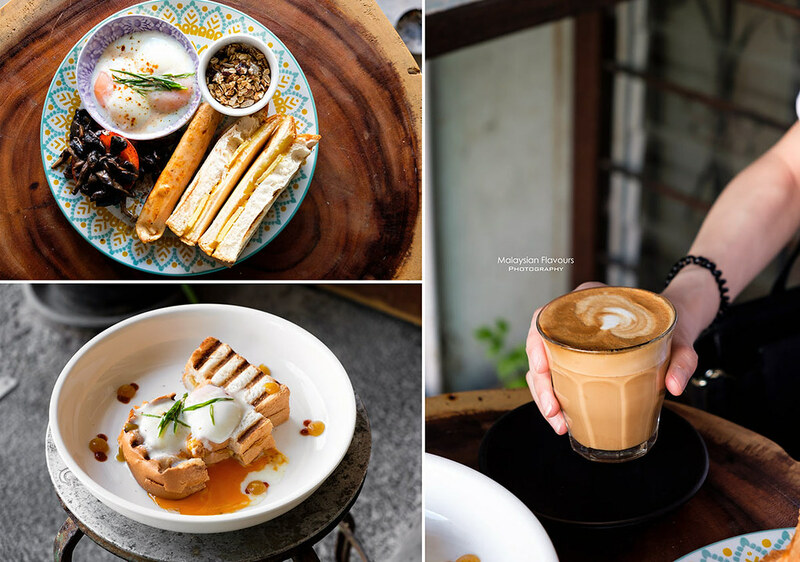 There are few more cafes nearby Petaling Street that are worth a visit, including ETC Cafe, LOKL, Geographer Cafe, Yum Cha Café and Calverde Cafe, just to name a few. Will cover them in next round.